Comment: PRENTICE HALL PRESS. SOFTBACK. LIGHT READING WEAR. IN GOOD TO VERY GOOD CONDITION. UK BASED SELLER, WILL POST IMMEDIATELY. 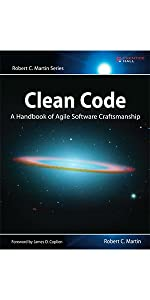 Best agile practices of cleaning code “on the fly” that will instill within you the values of a software craftsman and make you a better programmer—but only if you work at it. 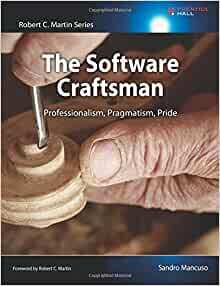 Robert C. Martin introduces the disciplines, techniques, tools, and practices of true software craftsmanship. This book is packed with practical advice–about everything from estimating and coding to refactoring and testing. 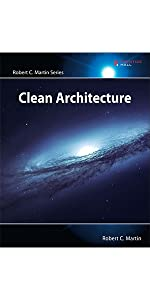 Uncle Bob presents the universal rules of software architecture that will help you dramatically improve developer productivity throughout the life of any software system. Sandro Mancuso helped found the world’s largest organization of software craftsmen; now, he shares what he’s learned through inspiring examples and pragmatic advice you can use in your company, your projects, and your career. Is your code easy to change? Can you get instantaneous feedback when you do change it? Do you understand it? If the answer to any of these questions is no, you have legacy code, and it is draining time and money away from your development efforts. 5.0 out of 5 starsIf you care about software development, buy it now! One of the key figures in the Software Craftmanship profession, Sandro Mancuso's book makes for enlightening reading in a profession that is fraught with the unknown. It is a relief to finally have someone write a book that isn't based around the homogenised way of approaching development, whilst still treating the profession with the respect it deserves. I've been fortunate enough to work with Sandro in the past, and I would urge anyone wanting to become a "craftsman" to buy this book as it is written in the same clear manner with which he speaks. It's language is clear and concise, whilst it's message is a simple to understand manifesto so it forms an invaluable reference for anyone who goes along to any of the LSCC meet ups. If you don't, then this book will prove beneficial simply for another interesting guide to developing in a professional manner. Starts well but degenerates in to a series of transcripts from dubious scenarios from the authors life. As with most titles of this nature highly opinion based and often ignored significant real world concerns. However the first 2/3 of the book is enjoyable and I would recommend reading it. Just ignore the final 1/3 where the authors ego takes over. 5.0 out of 5 starsMandatory Reading for any IT professional! The author promotes the idea that real developers should see themselves as crafters, because coding is a refined blend of science, skill, experience and art: a lifelong craft. Much like the masters crafters of old times, who spend their lives improving themselves and their work, the developers should always strive for continuous improvement. To achieve this, Mancuso says they should embrace three things: passion for learning, pride for their work and professionalism in their behaviour. The crafters always love practicing their specialty. They enjoy honing their skills, learning new skills, finding new ways to complete their objectives, talking and sharing their knowledge, among others. This does not apply only to code, but also to everything that relates to their chosen field: practices, process, soft skills, business knowledge, etc. Also, the crafters must have pride for their work. They don’t produce hurried or shoddy work, as they always strive to present their best when they are crafting; they see their work as a demonstration of themselves. Finally, they must be professionals in their dealings with their clients. To the crafters, everybody for whom they work are clients, regardless if they are working as contractors, freelancers or employees to a company. To them, the most important thing is to build a full collaborative partnership with their clients, in order to best advise them. Crafters don’t blindly follow their clients’ requirements: as specialists in software craftsmanship, they are best suited to assist the clients’ projects reach their full potential, by understanding what is really need, providing alternatives, suggesting improvements, explaining why some decisions are better than others and helping them achieve their intent in the best way. The crafters strive to deliver not only working software but also well designed, coded and tested software, because they respect the time and money their clients expend in their projects and try to maximize their investment return. According to Mancuso, when developers do not have this kind of mindset, they see themselves as factory workers, who work mechanically, doing the same things over and over. They don’t add value to the customer, they don’t try to do a better work. Worse, they don’t question their clients even when they see that they are taking wrong decisions. As a consequence, these developers are treated as the cheapest piece of the software development environment, working in a stressful environment, delivering software that will be buggy, harder to maintain and harder to modify as the time goes by. After explaining the above, Mancuso provides orientation on how developers could improve themselves and gradually become true masters of their craft. 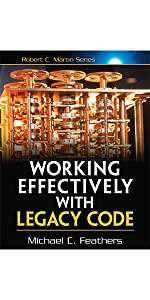 This book should be read not only by developers but also by anyone that works in the software development business, because it shows how developers are the ultimate responsible for the success of any software project and how to empower them to do their best. As Mancuso points out, nowadays the quality of the code produced by the developers affects a company so strongly that they can be the reason for a company to succeed or close. A software that is well designed, well coded, well tested and well maintained will be a strong asset to any company: it will be useful, stable, resilient and robust; it will be easy to maintain, change and evolve; it will be done once and improved as needed; it will be quick to be adapted to market changes; in sum, it will be a driving force for the company, empowering its business. On the contrary, a software carelessly coded, bad designed and poorly tested will be the opposite. In these days of constant change and very fast pace, a company cannot allow itself to be slow to react to the market changes. It cannot have a buggy interface with their users, because brand trust and value is very hard to obtain, but too much easy to lost – and sometimes it is almost impossible to recover. A company that has to discard and replace an application because it has become too brittle to change after few years is losing valuable time and money, commodities not abundant these days. 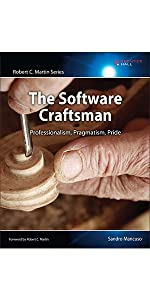 In short, for developers, this book is about why and how to be a software craftsman; for other professionals in the industry, it shows why developers have become a key point in the success of any business and how to create very successful relationships with them. Focuses a lot on work ethics, and how a software developer should behave. A good recommendation for people who don't understand the dogma of : what you say is just as important as how you say it, and do it. This books sheds light on topics that as a developer starting his career are essential. 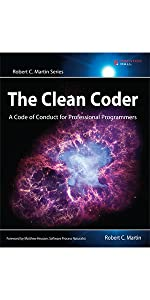 It will help you grasp concepts about what it means to be a software professional and avoid pitfalls that many developers, including me, have fallen into. Must read for every developer who is serious about their profession. First non technical book I read cover to cover after a long time. Good to hear the thoughts of a craftsman. I liked the section on the skills and practices more so than the interviewing part, which has no relevance to me.